If you would like to Customize the size, number of pockets, or add a label tag, please select “Custom Size” in the Size option, and leave me a note about your preference. 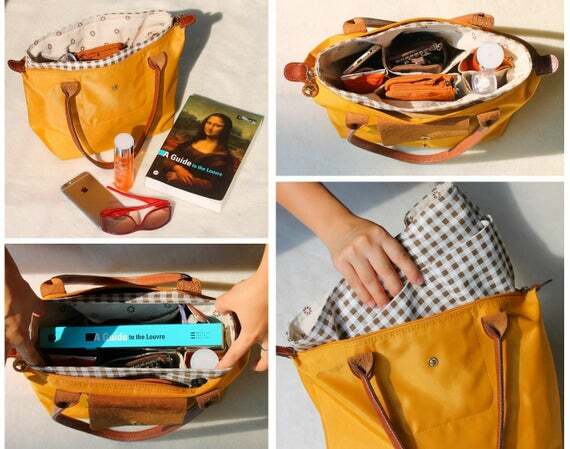 You can put your iPad, water bottle, cosmetic products, makeup accessories and personal belongs in ONE BAG! This purse is purely made by hand with stitch. No glue has been applied. It is made of premium linen and cotton, which is durable and reliable. 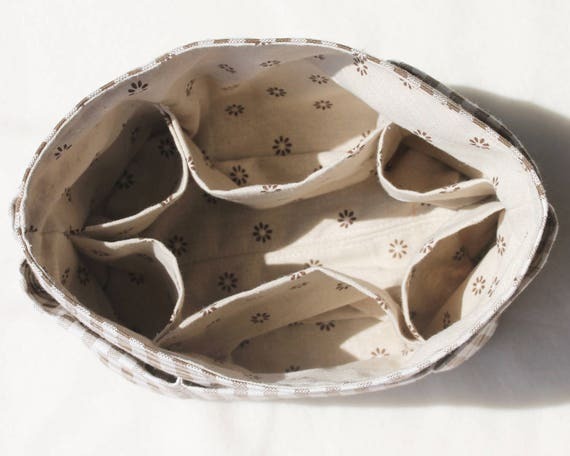 12 pockets in total, it is great to keep your belongs well organized. The size can be personalized to put into your tote bag. What’s more, it is light and handy! – The number of pockets can be personalized. Item will be sent out in bubble wrap. It can serve as a great personalized gift for your loved ones.